A stock photo of an OBB train passing through Carinthia. Credit: Xbrchx/ Shutterstock. 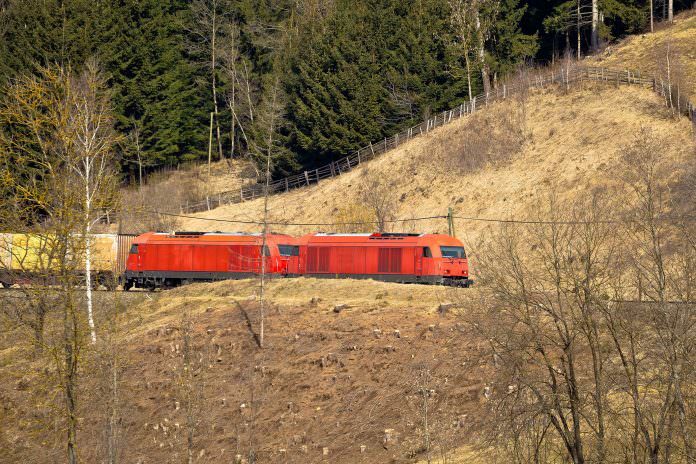 The Powerlines Group has been awarded a contract to modernise the Ossiach line in Carinthia, Austria, by ÖBB-Infrastruktur. The company’s Austrian subsidiary will dismantle the overhead catenary system at the stations in Liebenfels and Glanegg, and on the line between the two stations. The single-track line is to be fitted with overhead lines as well. A total of 224 cantilevers and 10.8 km of catenary are to be installed by engineers, as are 16.5 km of traction power lines and two switch stations. Powerlines said that the greatest challenge posed by the project is the limited construction window of two months and the fact that work can only be scheduled in daytime shifts. Work is due to begin on July 10 and all rail services are to be cancelled on the line during the construction period. Project completion is planned for September 8, 2017. Powerlines Group CEO Gerhard Ehringer said: “From the perspective of Powerlines, the current market development in Austria is very encouraging.